Creating Linux distro spins is relatively easy. A few string replacements, some branding, and you're done. Creating unique, independent and self-sufficient projects, that's another matter entirely. The latter category is reserved to only a small number of distros that manage to balance their parenthood and individual identity while still providing users with a sensible and meaningful setup for work and fun. 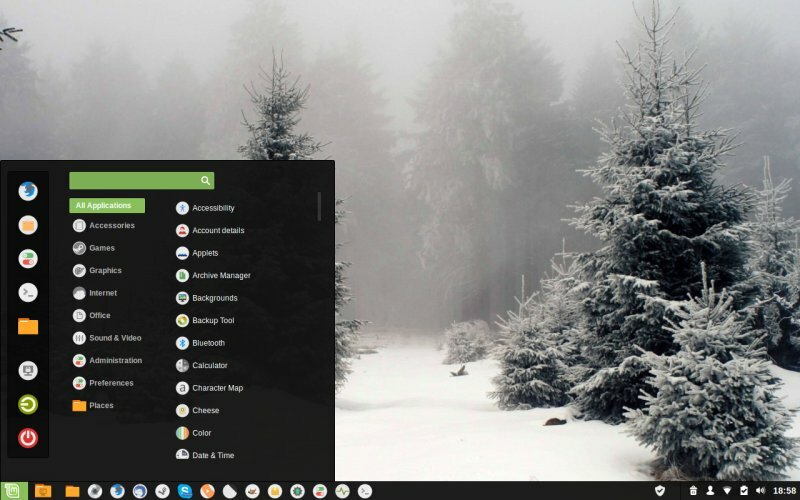 Linux Mint is one of such rare examples. For many years, Mint has successfully paddles its gray-green look and feel, topped with good and easy access to everyday needs. This hasn't always been easy, as Ubuntu changes a lot, and this has often affected Mint in unpredictable ways. Still, overall, it managed to retain an edge of worth that goes beyond being yet another bland clone. Staying with the LTS releases as the baseline is one such manifest. A set of unique tools is another. We explore. Linux Mint also has its own set of screwdrivers and spanners. Over the last half a dozen releases, the toolbox has slimmed down somewhat, but the programs that do remain have mostly been revamped to offer more value. I wanted to see what the current state of affairs is, and for that purpose, I am using the latest Mint Cinnamon release, 18.3 Sylvia, which turns out to be a very good, rounded and practical system, definitely one of the best offerings of 2017. This is probably the most visible one. 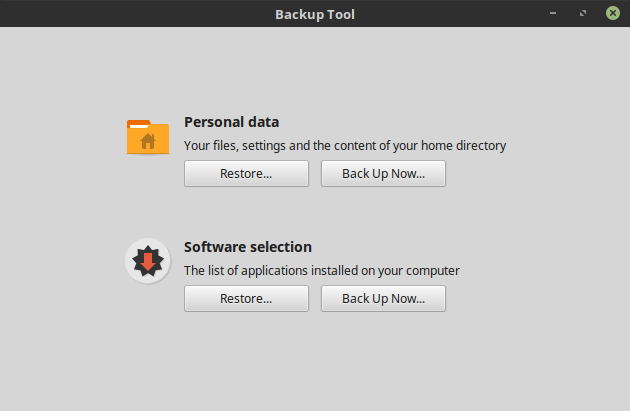 The program allows you to backup your personal data and settings or your installed programs, which can be useful after a reinstall or for redeployment. Backup comes in addition to Timeshift, which is another excellent choice for keeping your system state pristine. Overall, the program worked fine - I was able to perform backups, but some of the settings seem a little buggy. For instance, I never got to see any programs listed in the wizard, even when I did explicitly use the Software Manager for installation. However, the completed backups, both personal data and software selections, did have all the relevant files included in the created archives. Still, it can be more streamlined and informative. Perhaps Timeshift is going to be the ultimate replacement for this. 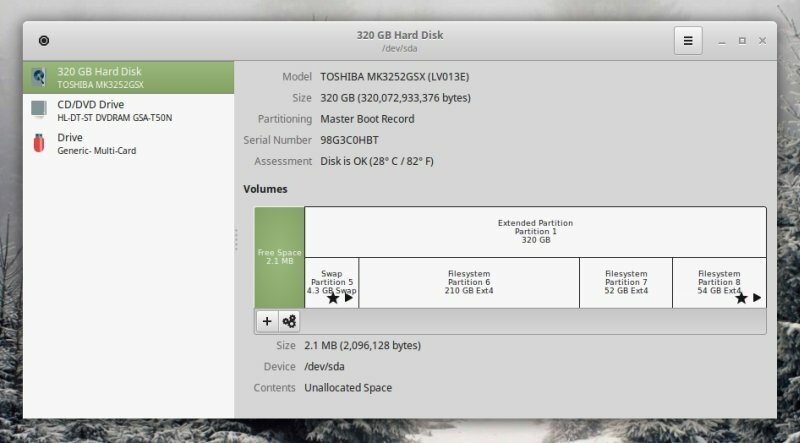 Writing ISO files to USB drives may sound like a trivial task, but then you should read my articles on this topic to understand how much variety, fragmentation and chaos there is in that regard, like pretty much every other facet of the Linux desktop usage. Mint tries to make things ever so slightly simpler by adding its own USB image writer. This is a nice bonus since Ubuntu hasn't had one recently. From my testing, it seems to work well, and handled the offered scapegoats without any issues. And you also get a sibling tool - USB Stick Formatter, which does what it promises, formats USB devices, nice and simple like. You do not need a fully fledged program like GParted, and for less savvy users, there's less risk for botching things. This program is not installed by default, but it is available in the repos under the generic mint- prefix bunch. It allows you to add fortune cookies to your terminal, show or hide certain items from the desktop, and more. I believe it makes more sense for the MATE edition than the Cinnamon one, hence the non-default state. Either way, most functionality should be consolidated under the Cinnamon Settings umbrella and then expanded as necessary, which is also a reason why lately there are fewer standalone Mint programs available. Another non-default, plus a weird name that does not correspond to the actual program function or the window title. 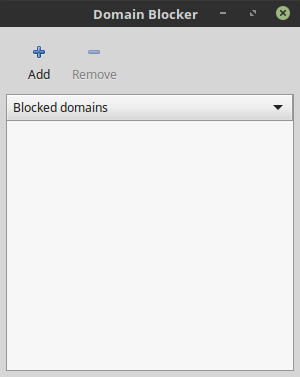 Blocking domains may sound quaint, but it might be useful for some people. 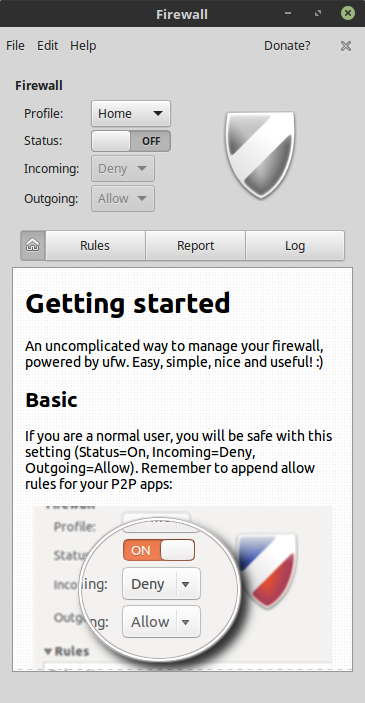 The tool allows you to manage your blacklist without manually playing with /etc/hosts file and/or firewall rules. 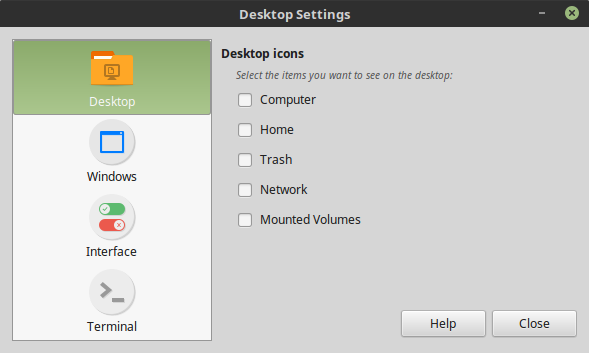 Again, more of a perk than daily necessity, but it is another layer that of the Linux Mint onion of self-identity. 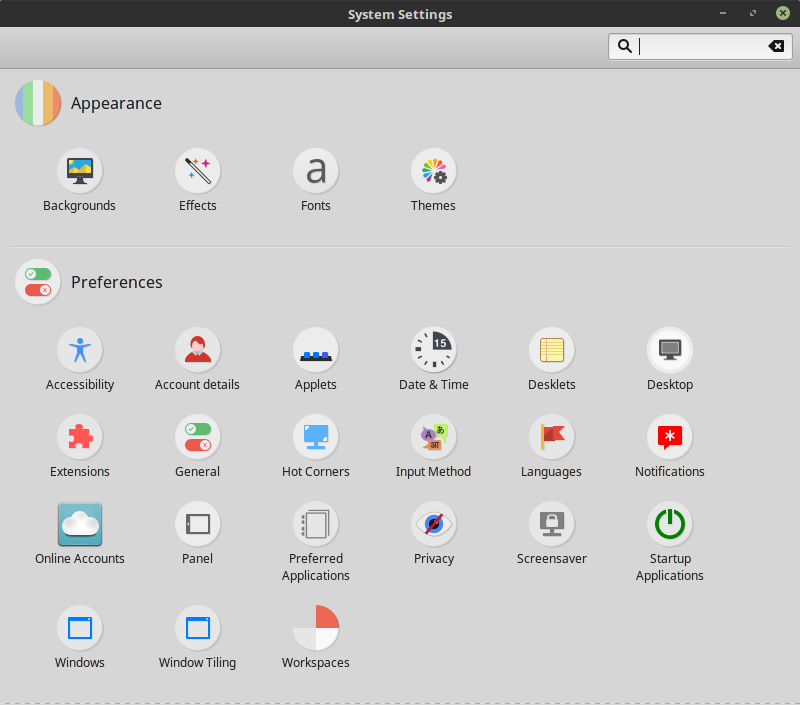 Finally, Mint has its own range of aesthetic tools and features, including a built-in ability to install and remove themes, applets, desklets, and more. Best of all, this works just fine, without being too simplistic or crowded with half-broken options. We will explore this in the near future. Last but not the least, Mint also offers a developers-focused package bundle, but this is mostly compilers and command line tools. 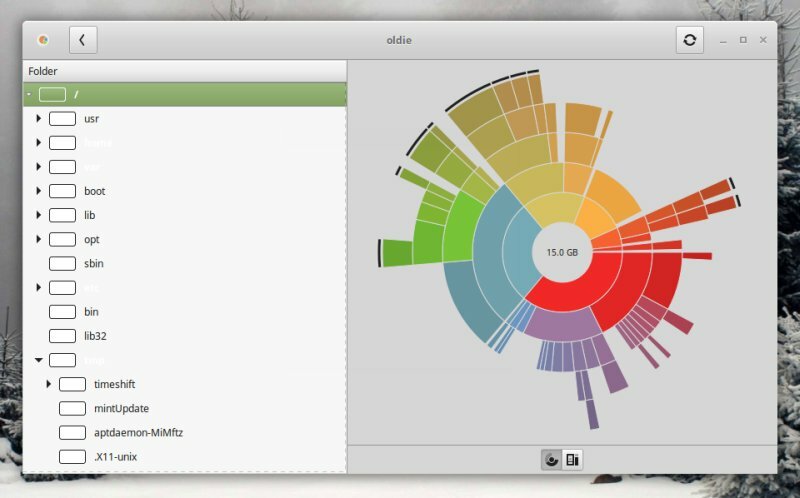 An old friend from Ubuntu times, it's also available in Mint, and it gives you a nice, colorful representation of your disk usage. It can be useful, especially if you're running low on space. Being a Gnome tool, it comes with its own decorations and shadows, and does not sit all too well with the system theme. This is another reasonably useful tool with its own rebellious attitude. Overall, the Mint toolbox is a colorful selection of extras that have not yet found their way into the settings menu or some higher hierarchy wizard. I'd say the offering is not quite as good as MX Tools, for instance, but it's still better and more consistent than what most other distros do. That said, it would still make sense to consolidate these as a single multi-purpose program, or tuck them into the settings menu. The software works well, and it has most value for newbies, who are less inclined to dabble and tinker with the command line. A few of the programs need some polish, be it functional or visual. 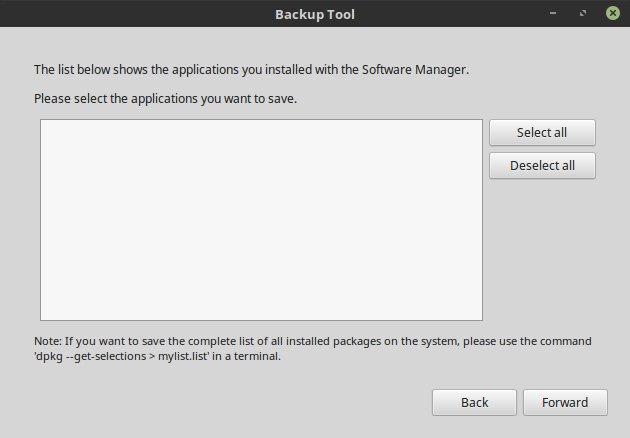 I think the Backup tool needs this the most, especially since it has the biggest value and impact for Mint users. All in all though, while not the perfect stash of goodies in the universe, Mint tools still allow this distro to retain its qualitative edge and retain its independence in a world full of mediocrity. Worth exploring, that's for sure. So why don't you take a look then?